It was the most excited I had ever felt about football. Fittingly, it happened during the World Cup – and I didn’t have to pay the telcos a single cent to see it. You know that Nike “Write The Future” commercial starring international football stars like Wayne Rooney, Cristiano Ronaldo and Didier Drogba with cameos by tennis ace Roger Federer, recent NBA Championship-winning basketball MVP Kobe Bryant and doughnut nut Homer Simpson? Well, this is even better than that. 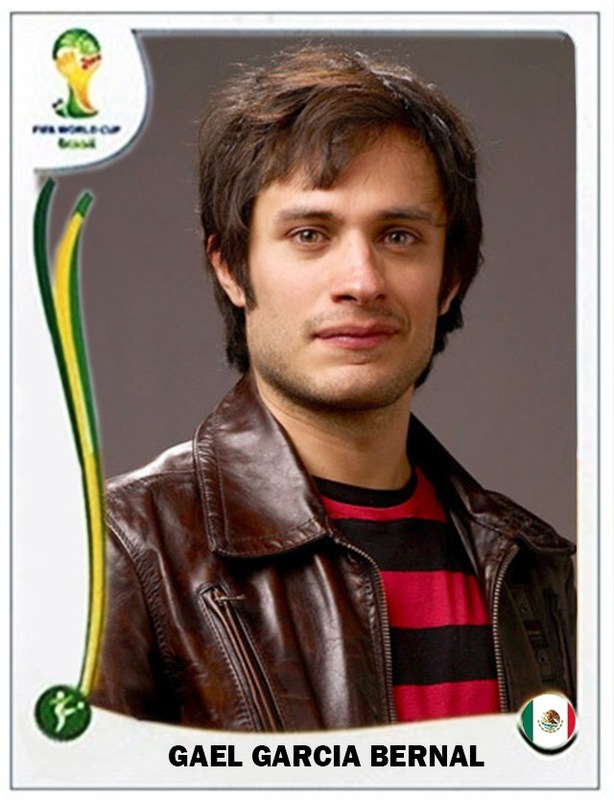 But you ask: What could be better than an epic multi-plotline World Cup-related commercial directed by Alejandro Iñarritu, who was Oscar-nominated in 2007 for directing the epic multi-plotline Babel, which starred Brad Pitt and Gael García Bernal, who also has a cameo in the commercial playing footballer Ronaldo in a make-believe movie called Ronaldo: The Movie? The answer: a pizza in the shape of a football field. When I first saw the Pizza Hut ad for its all-new Goooal! 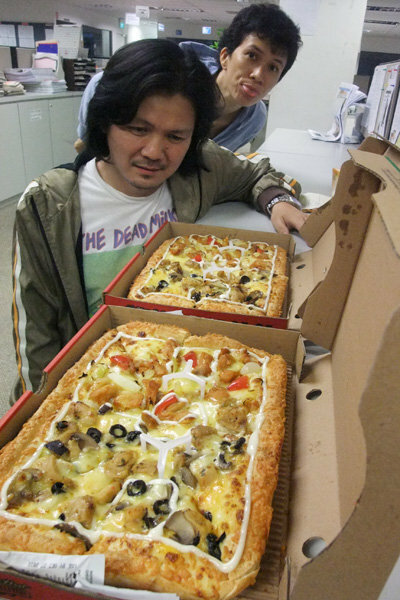 Splitzza, I couldn’t believe my eyes. Is it a pizza? Is it a football field? OMG, it’s both! The audacity! The creativity! The vision! Consider my mind blown. And yet, the idea is so simple, I’m surprised no one else thought of it sooner. It masterfully combines two things people love – cheesy food and commercial sports – and the result is a work of art. Yes, that’s what I said – art. If they can pass off line-dancing as an appropriate closing event for the Singapore Arts Festival, the Goooal! Splitzza should be a permanent exhibit at the Singapore Art Museum for this and future generations to study and enjoy. Our children’s children will then be able to marvel at how Pizza Hut carefully designed the toppings such that the intricate mix of ingredients matches the national colours of England and Brazil. Our grandchildren’s grandchildren will also be able to appreciate how Pizza Hut savvily chose not to go with the national colours of, say, Honduras and Algeria. The devil is in the details like these. It makes the World Cup-related promotions of other restaurant chains, past and present, seem like lazy afterthoughts. But be warned, if you’re ordering the Goooal! Splitza, you must, must, must get the large – not the regular – because only the large is rectangular. The regular is square-shaped. Who has ever heard of a square football field? The regular Goooal! Splitzza is a crime against nature and the beautiful game. And if you don’t think you can finish a large, just call me. I can always eat pizza. It was the first time I saw snow. I had just moved into my university dorm room in the US midwest. Before I went to sleep, the grass outside was still green with only a sprinkling of autumn foliage. When I woke up the next morning and looked outside my window, everything had turned white. I thought the world had ended. It had snowed overnight. Having lived in Singapore all my life previously, I was just getting used to being surrounded by all these white Americans and suddenly, I was also surrounded by all this other white stuff. When I returned to Singapore a couple of years later, I was similarly disoriented when I was suddenly surrounded by all these Chinese people at Changi Airport. We all looked the same to me. I barely recognised my mother waiting for me at the arrival gate. Had she always been this short? As of last week, I have grown re-accustomed to our country's snowless climate and my mum's dwarf-like stature – or so I thought. When I woke up on Wednesday around lunch time, the first thing I did was logged onto my Facebook page like everyone else does – and saw pictures of Orchard Road underwater. Once again, the universe had shifted while I was sleeping. But what I found even more shocking than the flooding of the world’s 27th most expensive retail street (according to Colliers International) was news that a Wendy’s was one of the businesses affected. Wendy’s is back in Orchard? Since when? I still remember when a Wendy’s manager politely but sternly asked me to get my feet off the chair in the Far East Plaza outlet while I was chillaxing with my Spandau Ballet-listening pals back in the '80s. I resentfully complied and telepathically put a hex on the fast food restaurant. It closed down soon after. The US-based franchise returned to Singapore in December with an outlet at Lau Pat Sat Festival Market. The one at Liat Towers had been open for only a couple of days when the flood hit – whereas previously, McDonald’s and Burger King had occupied the same location for decades without a disaster like this. This is clearly a sign. Wendy’s is lucky not to be snowed under. My apologies to everyone else inconvenienced by the Orchard Road flood. 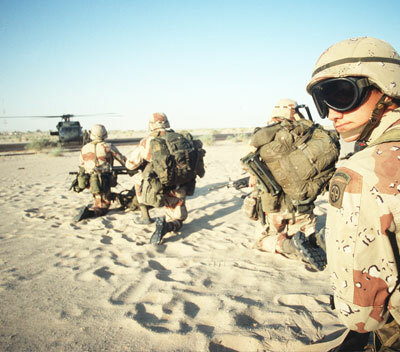 You were just collateral damage. Don't be so hard on PUB. The national water agency and its inadequate drainage system were up against powers greater than PUB could ever comprehend - powers that outlasted Spandau Ballet's chart career. Today, I plan to go to the Wendy’s at Jurong Point, stretch out my legs and dare anyone to tell me to put my feet down. I don't think anyone wants the entire western part of Singapore swallowed up by a freak earthquake. Or avalanche. I knooooow this much is true. If vandals can be mistaken for artists, why not me? SingPost must be kicking itself. It was reported last week that SMRT workers mistook vandalism on a train for advertisement or artwork. The train was allowed to run with the spray-painted graffiti for days and someone filmed it and put the video on YouTube. SMRT has since expressed “regret” for the “serious security lapse” and will engage a professional security consultant to audit its systems. My worry is that SMRT didn’t say anything about sending its staff for art appreciation classes. The irony, of course, is that almost exactly the opposite thing happened only five months ago. In January, SingPost apologised for spray-painting its mailboxes with graffiti as part of a marketing campaign to publicise its sponsorship of the upcoming Youth Olympic Games (YOG). The stunt had sparked concern that a serial vandal was at large on our Michael Fay-free island. 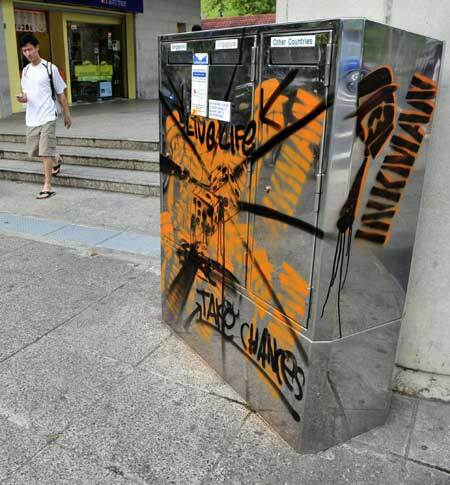 If only SingPost had hired the SMRT vandals – the public might have appreciated the defaced mailboxes as art as intended, instead of calling the cops. But then again, if not for SingPost’s failed publicity stunt, would the SMRT workers have thought that the train graffiti was just part of another marketing campaign? So it’s all SingPost’s fault – again. In one case, intended art was mistaken for vandalism. In the other, vandalism was mistaken for art. Which pretty much describes how I feel about the Singapore Arts Festival. Line dancing? Seriously? Maybe up is down. Maybe left is right. Maybe the Americans are the only ones who care about the World Cup. Maybe the new iPhone 4 is already available at this weekend’s PC Show. Maybe I’m actually not a long-haired hippie hunk, but a balding lesbian with menopausal issues. And maybe graffiti is art. To bring things full circle, someone wrote to MyPaper after the train incident and suggested: “SMRT might want to consider brightening its trains with commissioned graffiti. Let's be open-minded and talk about it. Putting vandalism aside, when I first saw the picture of the graffiti artwork on the train, it gave me a refreshing feeling. My impression was an appreciative one. A moving wonderful artpiece with its attractive colours for the general public. Wow, art has been bought so close to the commoners, who would, otherwise, be running after their life rituals just to keep up with the living needs. Not to mention, having the idea of visiting and spending time in the art museum or exhibition in order to do so. Our HDB flats are colourful, aren't they? To beautify the environment, isn't it so? However, a still scene. If we have a selective range of good, colourful and humourous graffiti on our moving MRT trains, I think, it will help to add beauty to our environment and colour our busy lifestyle. Good for tourism, too, isn't it? NO advertisements. How often does an idea be acceptable without any sampling? Seeing is believing to some. Having said that, I do not condone intrusion. Ultimately, I just want to say that a new idea brought forward, even though it has been done in a bad way, should not warrant such a heavy punishment. The year was 1990. New Kids On The Block was like the biggest thing on the planet. The World Cup was held in Italy. I was studying in the US and working at a liberal college newspaper. 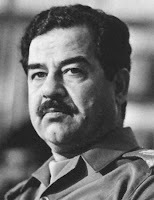 Iraq invaded Kuwait and “The Mother Of All Battles” was brewing in the Persian Gulf. Finally! 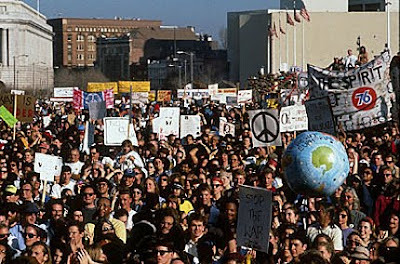 Twenty years after Vietnam, Gen Xers got our own war to protest. “You going to the demonstration?” became the default greeting around campus. It was the hippest, hottest party in town and everyone was invited. No cover charge. I heard it was a great way to meet chicks – liberal chicks. But I gave it a miss. I had no dog in that fight. American soldiers were being put in harm’s way for Operation Desert Shield, not Singaporean. Besides, it was fall and too cold for protesting. And here we are now in 2010, two decades later. Glee is like the biggest thing on the planet. The World Cup starts in South Africa next week. I’m back in Singapore and working at a tabloid newspaper. It is a frustrating time because I’m still waiting for the Glee episode dedicated to songs by New Kids On The Block but it doesn’t seem to be happening. Also, SingTel’s upstart mio TV went after StarHub’s viewers and “The Mother Of All Telco Battles” is underway. Only a few months after the English Premiere League TV rights bidding war, a bunch of disgruntled football fans went to Speakers’ Corner yesterday to demonstrate against the high subscription prices the telcos are charging for their World Cup coverage. “Did you subscribe?” became the default greeting between football fans. Of all the injustices in the world, these Singaporeans have decided that paying over $50 to watch the World Cup is where they must draw the line and make a stand. Of course, I gave it a miss. I have no dog in that fight. I’m content to watch the free matches on MediaCorp and read about the rest in The New Paper. Besides, it was in the afternoon and too hot for protesting. If they were protesting something really important, like say, the return of the awful garlic chilli sauce at McDonald’s, then you would’ve seen me yesterday at Speakers’ Corner with the biggest picket sign. Instead, I was at home amusing myself by watching a YouTube video of the Coca-Cola anthem for this year’s World Cup called Wavin’ Flag. Actually, I didn’t care much for the song. I just thought the name of the singer was hilarious – K’naan. Which pretty much expressed how yesterday’s World Cup protesters felt about the telcos. Fight the power, man. Peace.